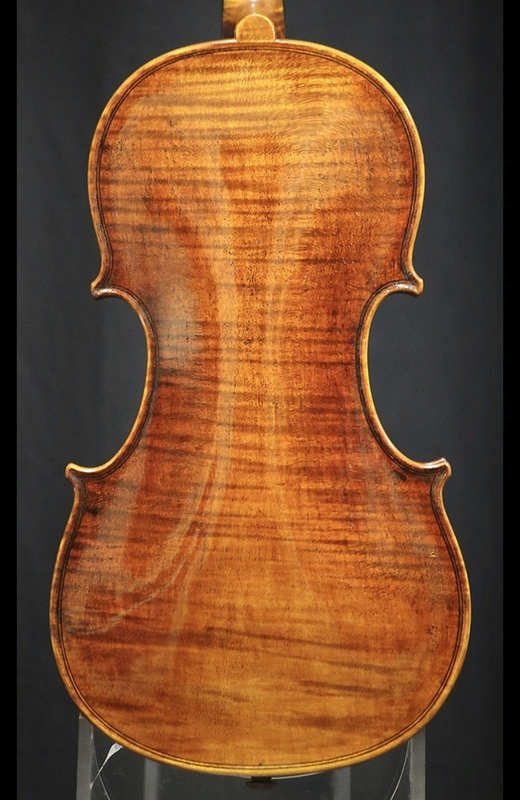 Description: This is the latest Balestrieri copy by our very own luthier Eric Benning. The top is fashioned from one-piece Bavarian spruce of exceptional quality from the 1920’s. The back and ribs are of matching Bosnian maple from the 1950’s. The varnish is antiqued to resemble the original violin from 1748. Harmonie boxwood fittings with flour-de-lis. 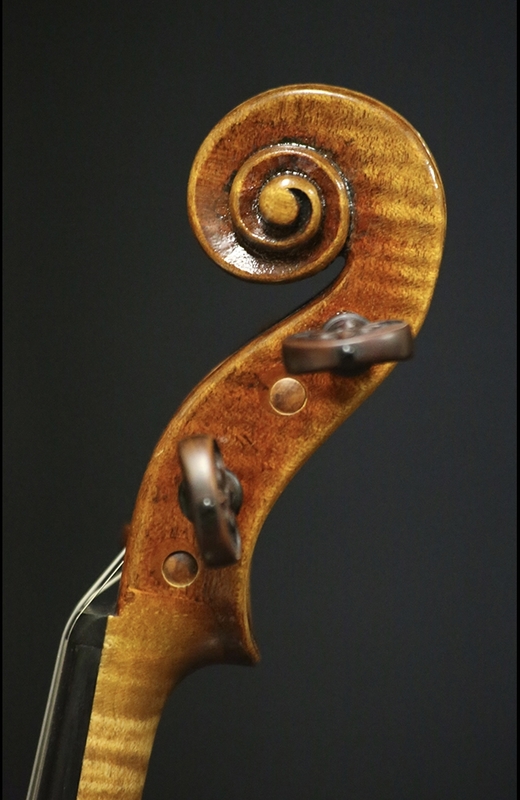 A powerful and clear tone. Rich and penetrating. 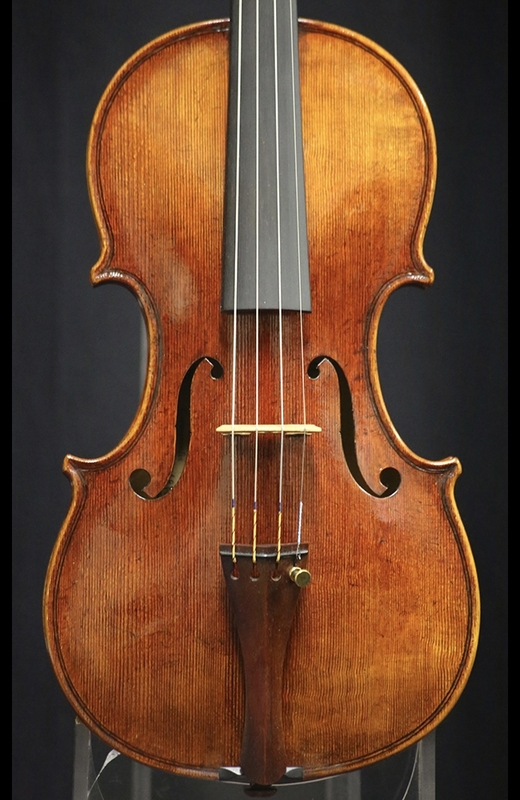 Please call for availability to audition this violin. Back length: 35.4 cm.